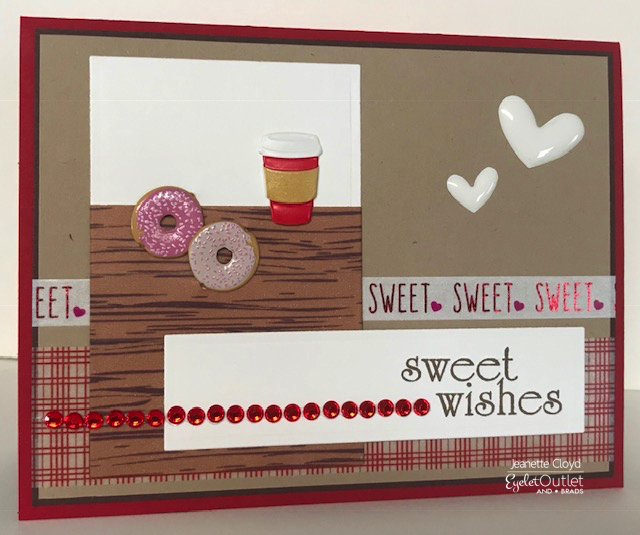 Cre8tive Play: Sweet Sweet Wishes! I will admit it. I have a sweet tooth. I absolutely love donuts! Cookies! Cupcakes! Yum! Yum! And of course a good cup of coffee (or glass of milk) tastes really good with those sweets! 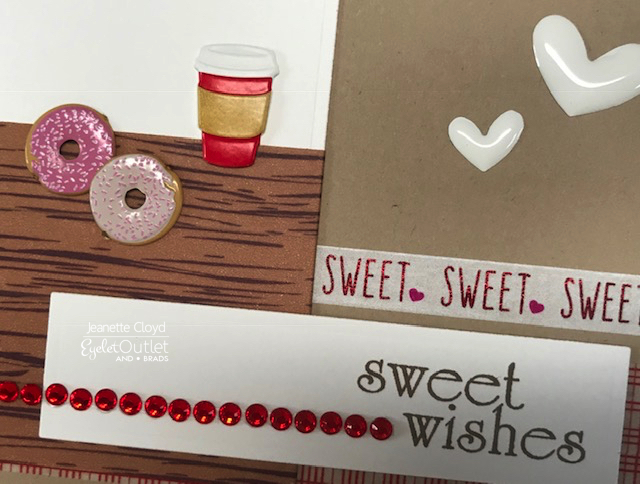 Soooo... maybe it's my sweet tooth talking, but I immediately fell in love with the Pink Foil Sweet Washi Tape at Eyelet Outlet! I received it this week along with 20+ other rolls of Washi Tape and some brads too. 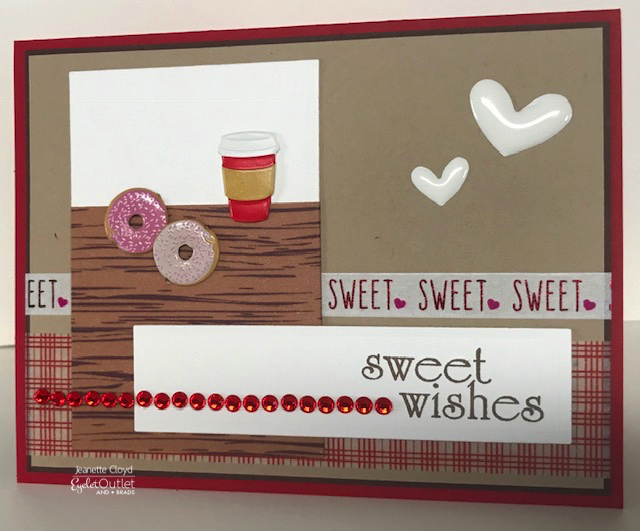 Oh how I love being on the Eyelet Outlet design team! Of course I had to play with the new Washi Tape... because I love Washi Tape as much - maybe even more - than I love sweets! Now, let's head to the local donut shop and have a donut together, what do you say? They'll have free wifi there so while we hang out, we can take a peek at the Eyelet Outlet store and see what other goodies we find that we might "need" to get. 3rd try to add a comment to your blog :( Love the cute donuts and the wonderful washi tape to create a YUMMY card! What a great design with these fun brads and washi tape!! Adorable! !